On those days, I make sure I have all the ingredients in the kitchen so that she can experiment with whatever recipe it is she has researched on Pinterest. Because if you knew you were going to enjoy cookies that looked like this, you would make sure you do everything to make it happen too, right? Ok. We only tried this recipe once. Of course the video makes it look easy because well, editing. 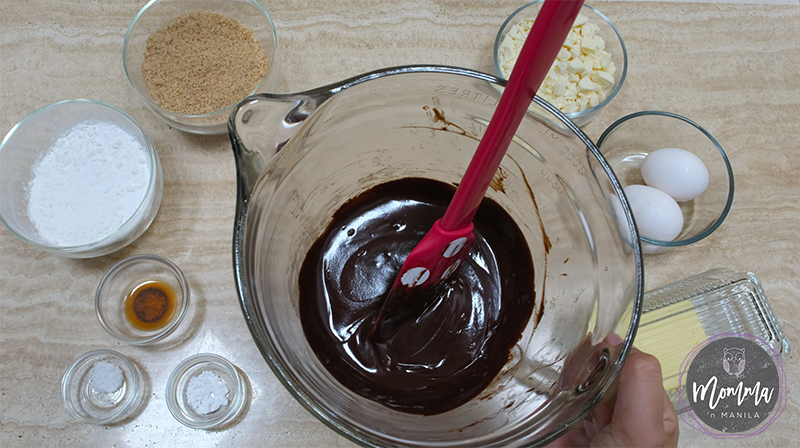 BUT, when baking this cookie we tried four different ways of baking to ensure less sticking. In the end, we realized the best way to bake them was not by actually using a buttered cookie sheet, in fact, the best way to bake these cookies was on a silpat (in our case a more affordable version of Wilton) and to remove the cookies from the sheet as soon as they came out of the oven. An experienced baker would see the shifts and differences in the video (can you spot them) but of course, I will disclose the adjustments we made in baking (none in the recipe yet) to make our lives easier when we made them. 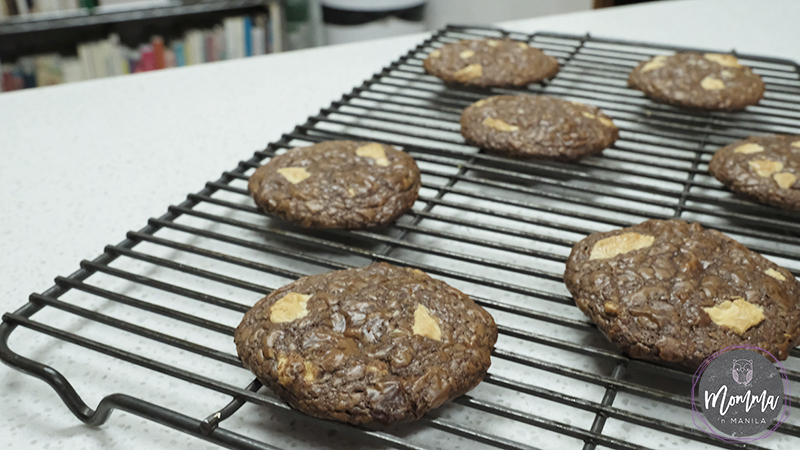 BUT, I will tell you this…This most definitely is a cookie recipe that we will make again. 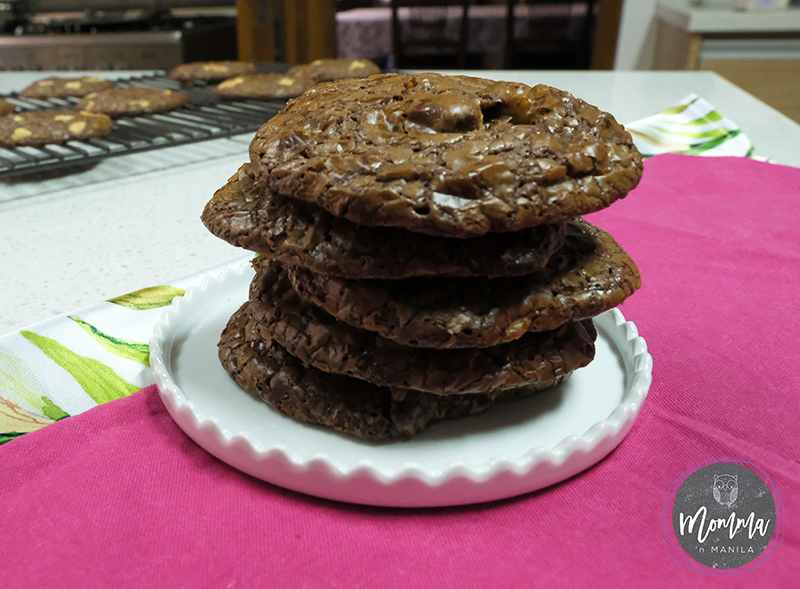 It was just the right version of chocolatey crispy edges, with slightly oozing chewy centers, that was not too filling. I ate too many of these cookies and unfortunately, I was not ashamed to hide in the kitchen eating the last one. Thanks www.juliasalbum.com for this recipe! Gia and I will probably tweak it a little more until we figure out our new oven, and the ingredients we have to work with here in Manila! Can’t wait to eat them!